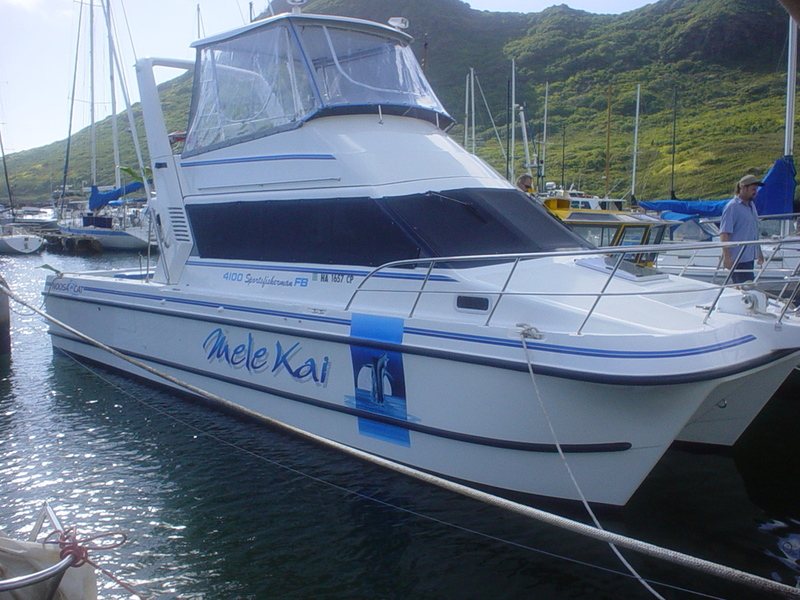 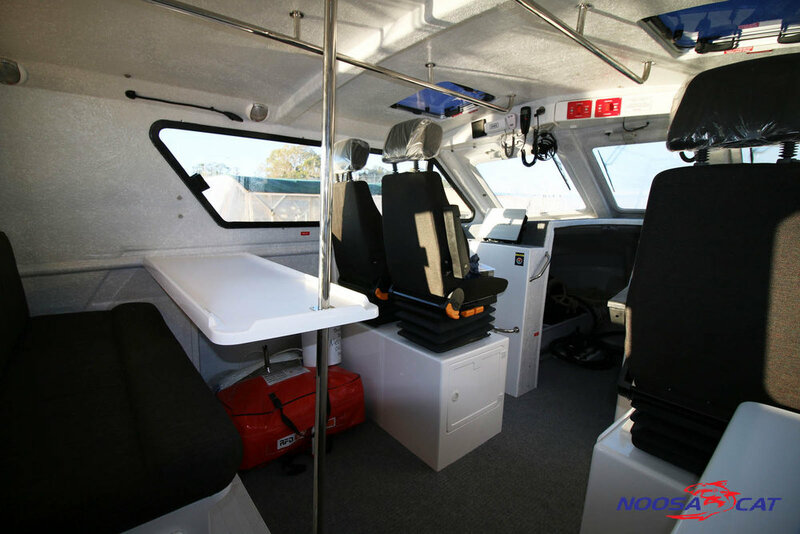 The 4100 Series is 12.26m (40' 3") of unstoppable, high performance offshore boating in a class of its own. 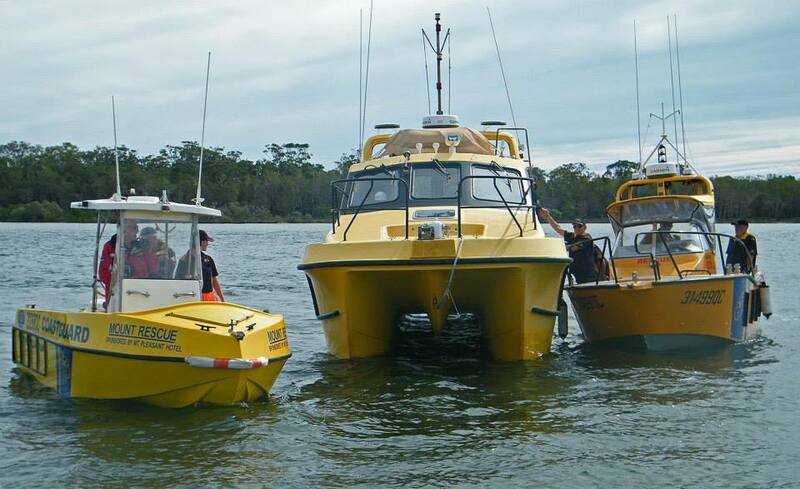 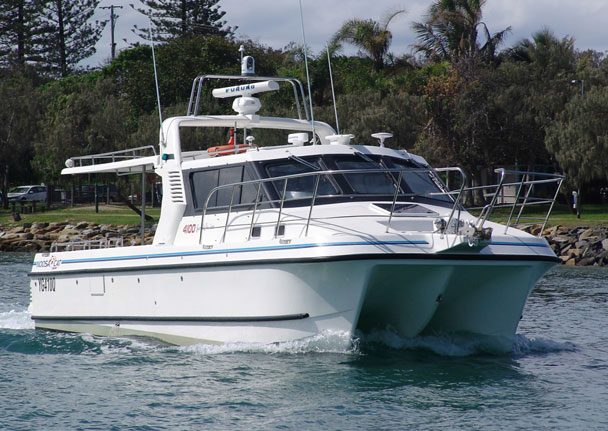 Designed as a true multi-functional vessel, the big 4100 Series cruises in the high 20's with just twin 6 cylinder, Volvo Penta Diesels - and easily runs to over 30 knots with suitable power. 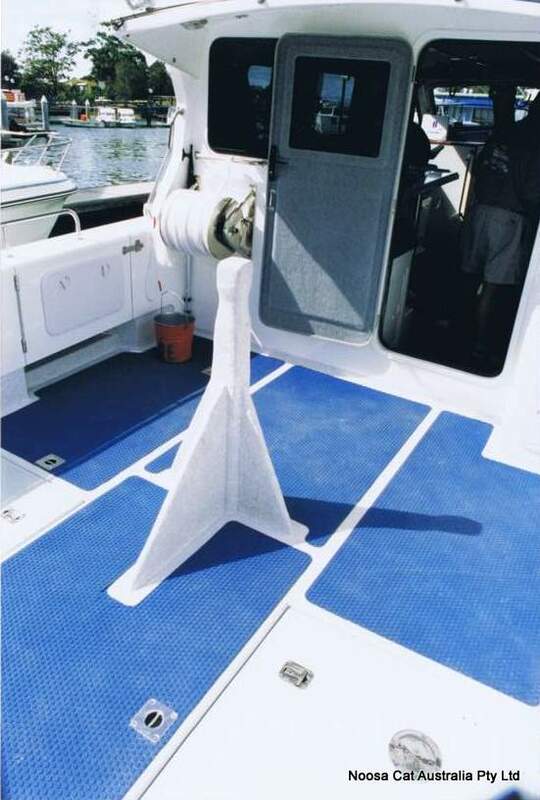 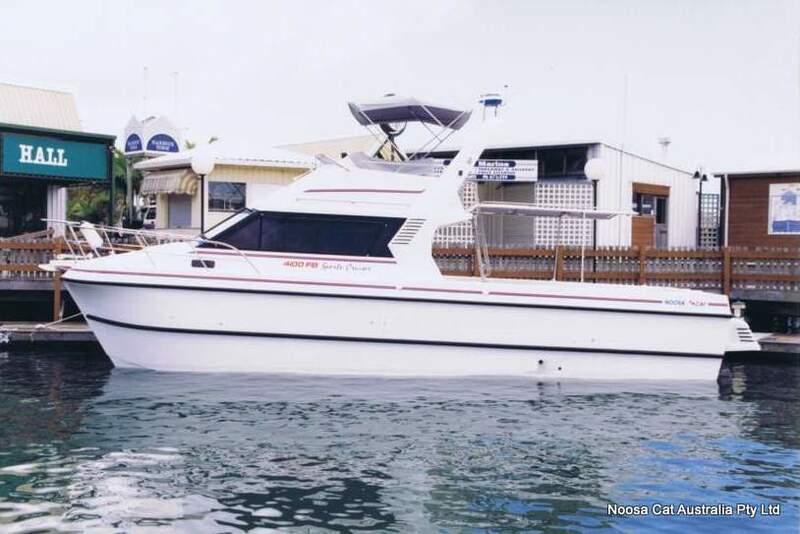 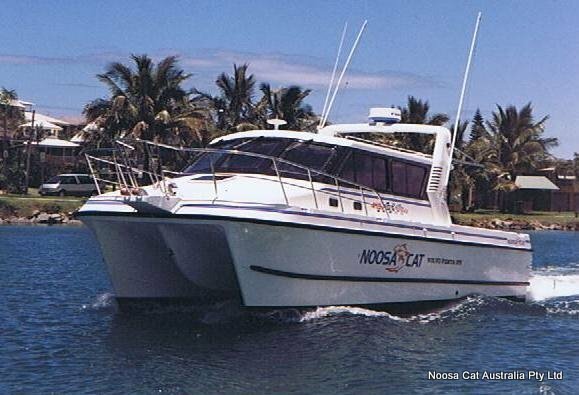 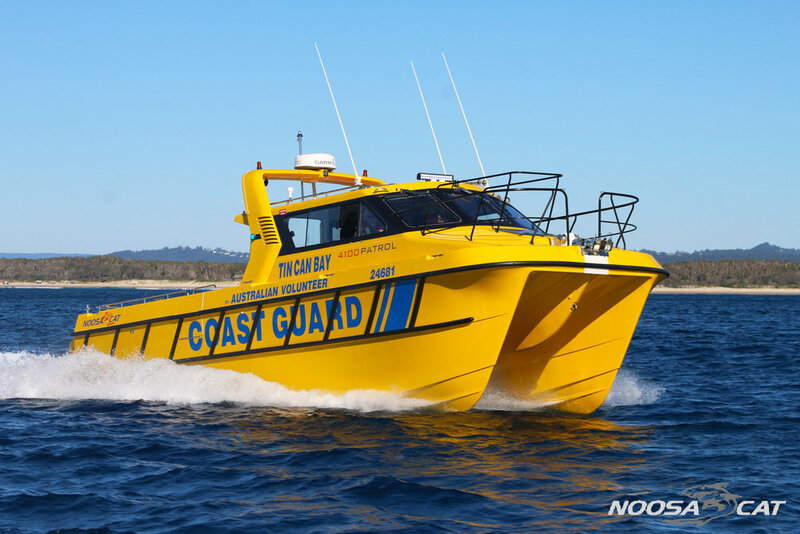 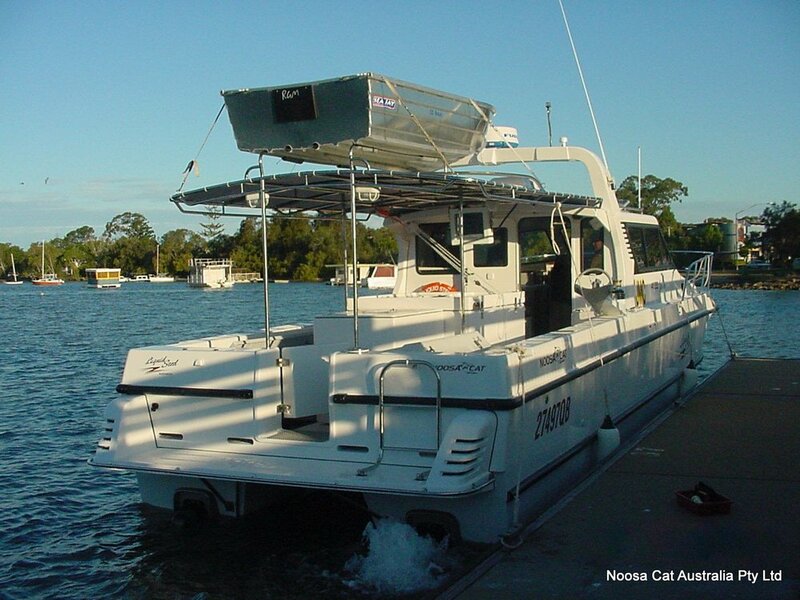 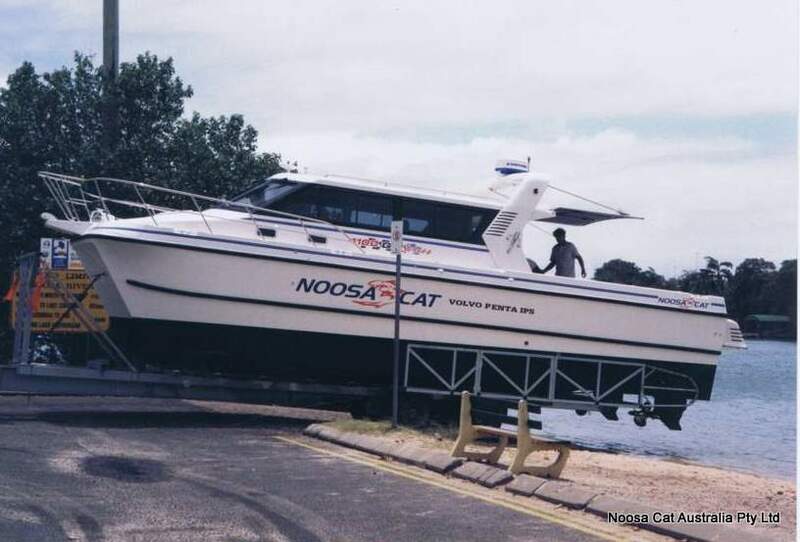 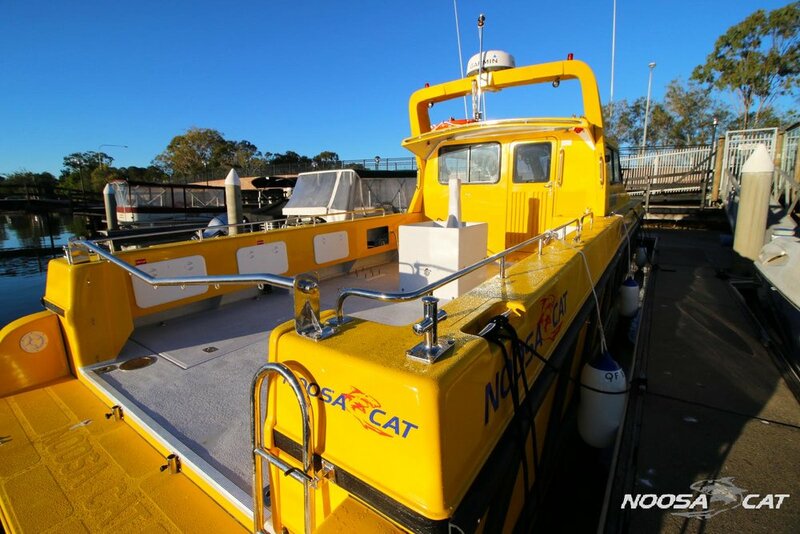 Available with shaftdrive or sterndrive, standard or extended cabin, fully enclosed flybridge, and a standard of fit-out tailored to the customer's precise needs, ensure the superb Noosa Cat 4100 is perceived as an outstanding investment for a wide range of commercial or leisure applications. 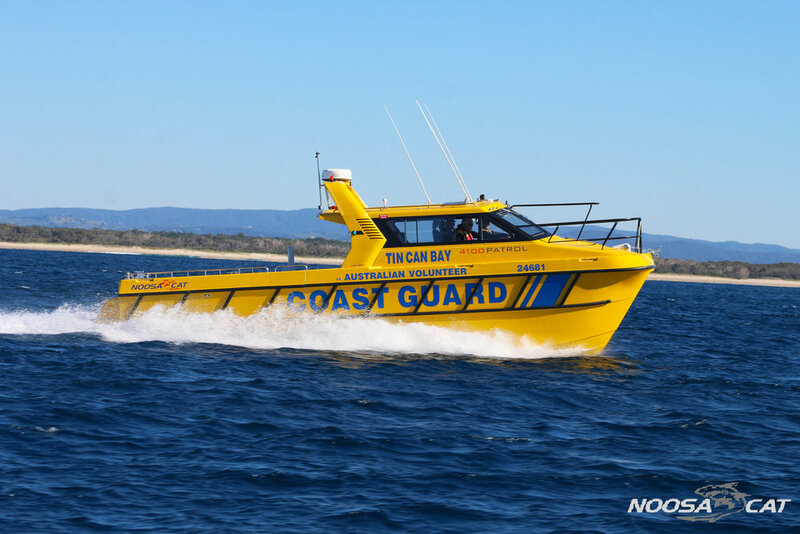 Pre-delivery offshore test run in Puma Energy's new 4100 Series Ferry (30-passenger) powered by 2 x @Mercury's Diesel TDI 335hp V8 Bravo 3 sterndrives. 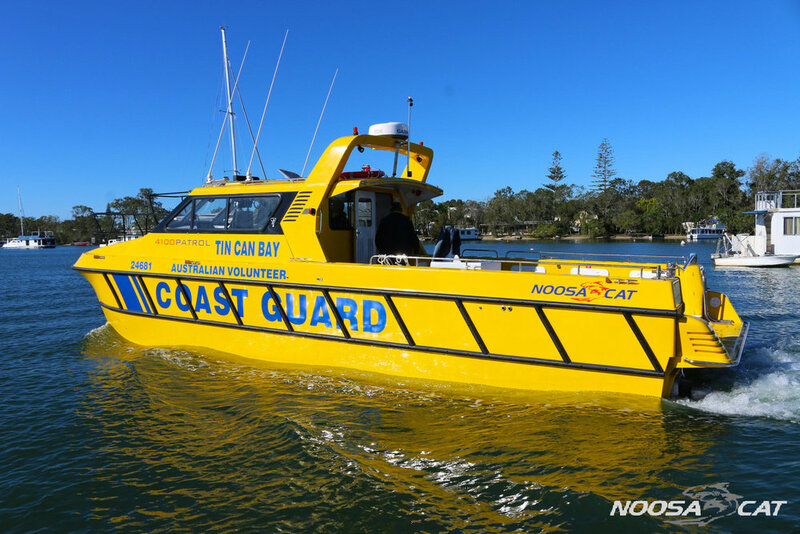 Top Speed Offshore = 35knots/65kph/42mph, Optimal Cruise Speed = 41kph/22knots, Range 652km/352nm, Acceleration (0 - 20 knots) in 6.5 sec (weight as tested 7,330kg). 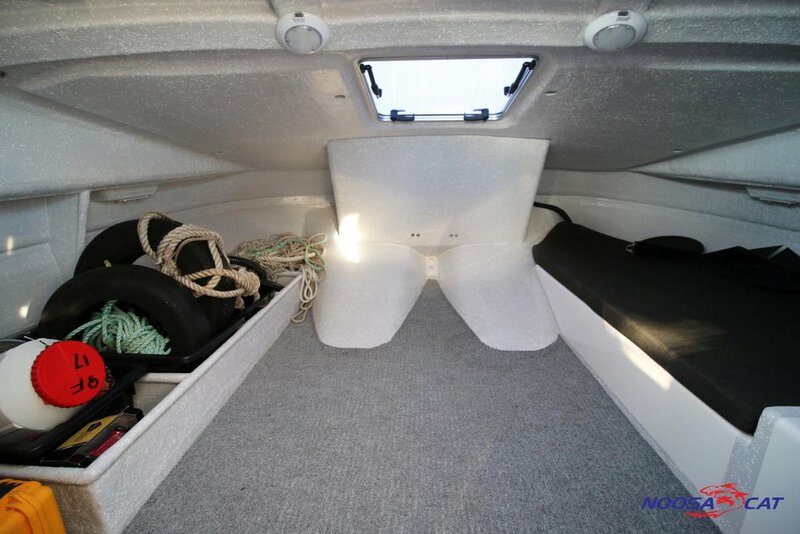 Moulded Length 11.10m | 36' 5"
Shipping Length 12.26m | 40' 3"
Beam 3.50m | 11' 6"
Hull Draft at Rest 0.52m | 1' 8"
Cockpit length (inside or clear space) 4.39m | 14' 5"
Cockpit width (inside or clear space) 2.72m | 8' 11"